As per census West Tripura has a population of 1,725,739 in 2011 out of which 879,428 are male and 846,311 are female. 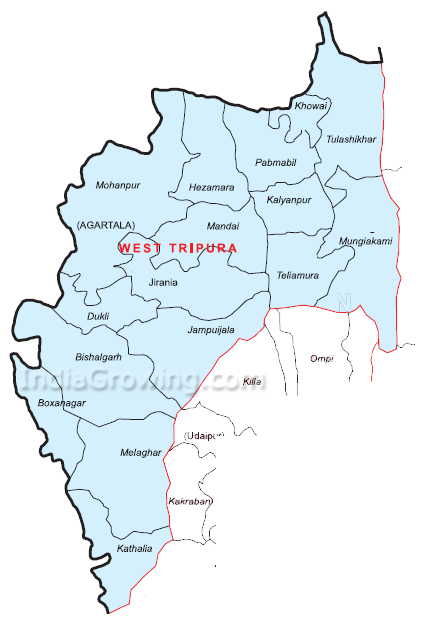 Expected population of West Tripura in 2019 is between 1,915,571 and 2,243,461. Literate people are 1,361,354 out of 722,998 are male and 638,356 are female. People living in West Tripura depend on multiple skills, total workers are 698,178 out of which men are 500,406 and women are 197,772. Total 94,721 Cultivators are depended on agriculture farming out of 82,291 are cultivated by men and 12,430 are women. 88,018 people works in agricultural land as labor, men are 67,956 and 20,062 are women.